Nuchigusui things to do in Okinawa: Craft and Culture | Live Nuchigusui. The best way to experience the heart of Okinawa is to get to know the friendly people of the islands and immerse yourself in local crafts and culture. 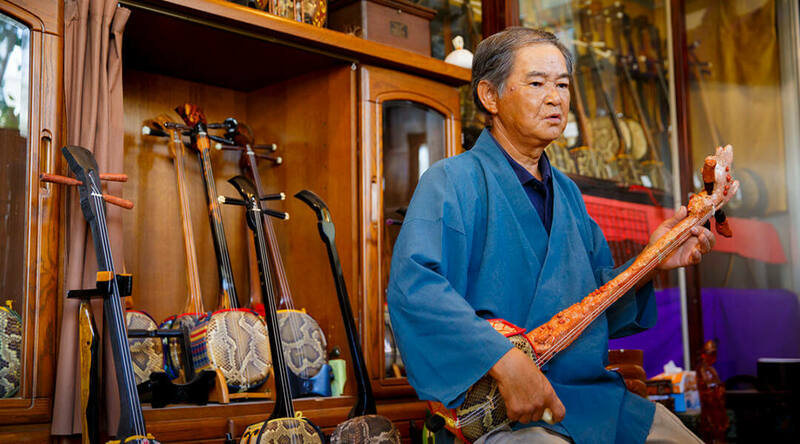 Why not start by shopping for traditional Ryukyu pottery known for its one-of-a-kind, rustic nature, or learn how to play a traditional instrument like the three-stringed sanshin? There’s also no need to worry if you’re travelling around alone – just come and experience Okinawa’s friendly culture and enjoy the leisurely pace of life on the island. Okinawa is a place where you can truly feel the connection between people. 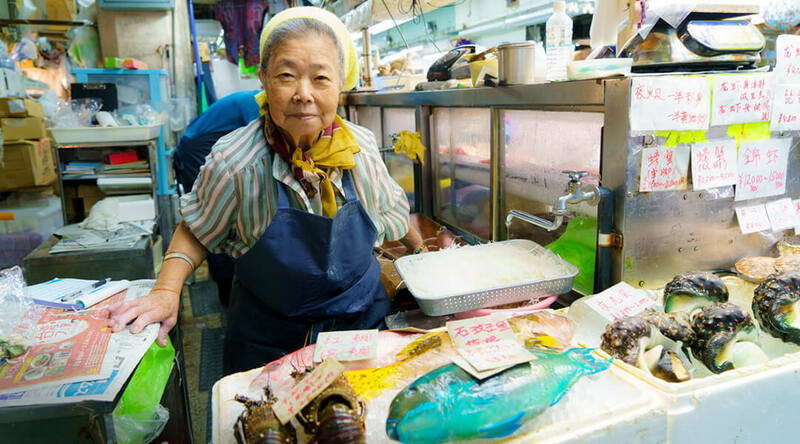 The friendly taxi drivers love good conversation and if you go to the markets, the stall owners are happy to introduce you to their various food and items for sale. The people of Okinawa enjoy helping those around them and share the mentality of ‘treat everyone you meet as family’, a phrase known in the Okinawan language as ‘ichariba chōdē’. If you want to have some fun getting to know the locals, head on over to Sakaemachi, a pub district with serious depth. This collection of small local establishments provides a place where many regulars gather, including everyone from the local ‘old guys’, to passing musicians and travellers. It’s the perfect place to experience a special evening drinking local awamori with Okinawa’s friendly locals. Makishi Public Market. 2-10-1 Matsuo, Naha-shi, Okinawa. Sakaemachi. 381 Asato, Naha-shi, Okinawa. Walk the streets of Okinawa and you can really sense that music is woven into everyday life. On many occasions you can encounter a sanshin player singing and playing in the streets, and many live performances can be enjoyed at restaurants and izakayas along Kokusai-dori. Of these restaurants, Shurei is one not to be missed. 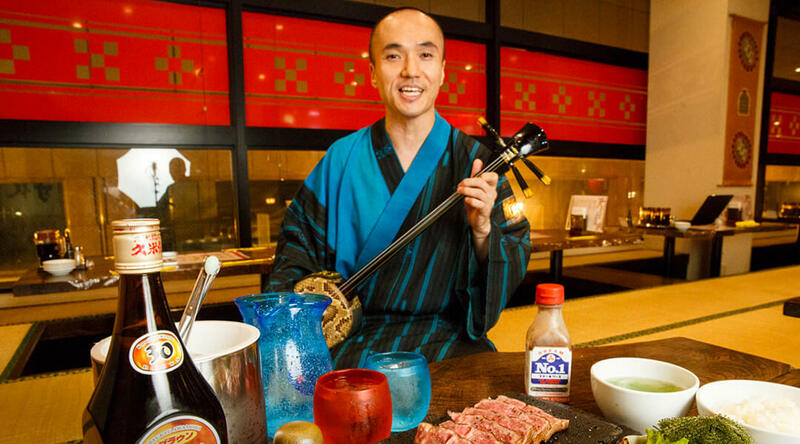 Here you can enjoy traditional music while savouring A5 Ishigaki beef raised in the Yaeyama Islands of Okinawa. 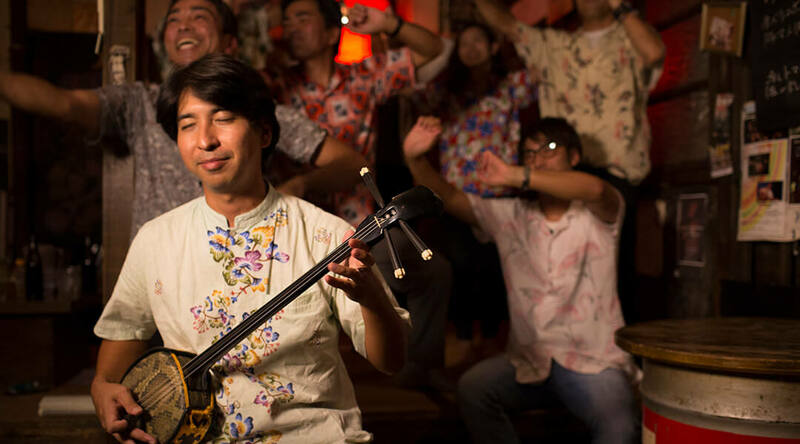 If you have a real interest in the art of sanshin, enrol yourself in a class in original sanshin crafting and playing with sanshin master craftsman Tsuneo Yara, an authority in traditional Ryukyu music. Yara's gentle and careful lesson will definitely be a heartwarming experience where you’ll be able to find your own personal rhythm. If you want to groove to the latest beats, the best places to head are Naha’s Sakurazaka and Sakaemachi, where a mix of locals and travellers tend to hang out on the regular. Also located nearby are many music bars and clubs perfect for those looking for an evening bar crawl. When you think of Okinawa, awamori might be one of the first things that comes to mind. Loved in its own right as a local beverage, awamori is also known as a healthy type of sake which contains zero carbohydrates and tastes better with time. 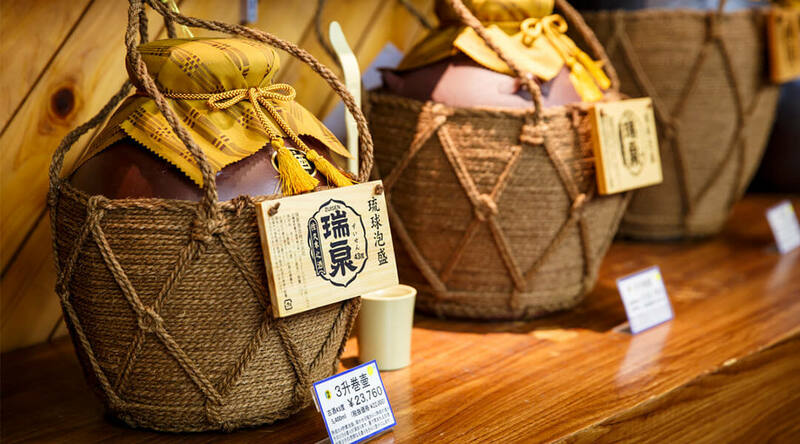 As awamori ages, the aroma slowly changes and the texture becomes more mellow and smoother. 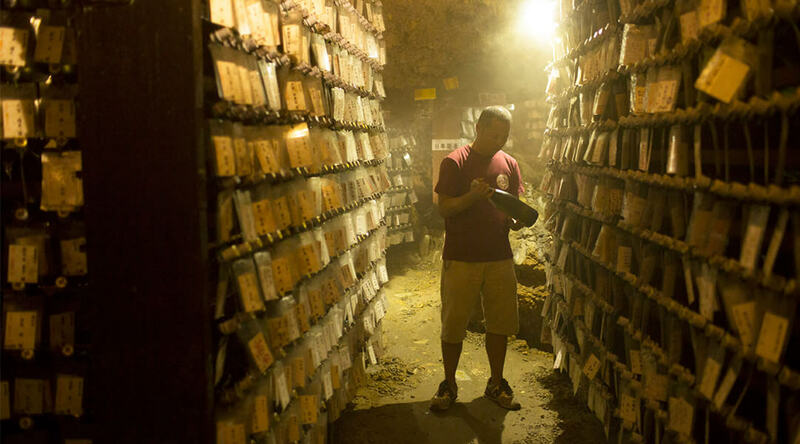 Kin Koshugura, housed inside a limestone cave, offers a service to preserve awamori and keeps bottles safely stored as they age into mature liquor. Each awamori can be accompanied with a message that you can read when your bottle is retrieved in five to twelve years – or even later. Other highly recommended locations include Zuisen Distillery near Shuri Castle and Chuko Distillery which offers tours in English. If you want to try awamori along with a great local meal, the izakaya Kozakura offers an excellent casual dining experience. Here you can sip on locally made awamori while enjoying simple Okinawan dishes like goya chanpuru. Most uniquely, their walls are also lined with a wide selection of awamori from the 42 distilleries throughout the prefecture. Chuko Distillery, 132 Nakachi, Tomigusuku-shi, Okinawa. http://chuko-awamori.com/lang/en/index.php. Okinawa is rich with culture and customs and hosts many traditional events each and every year. Participate in one of Okinawa’s traditional festivals and get a taste of the local spirit around these special celebrations. 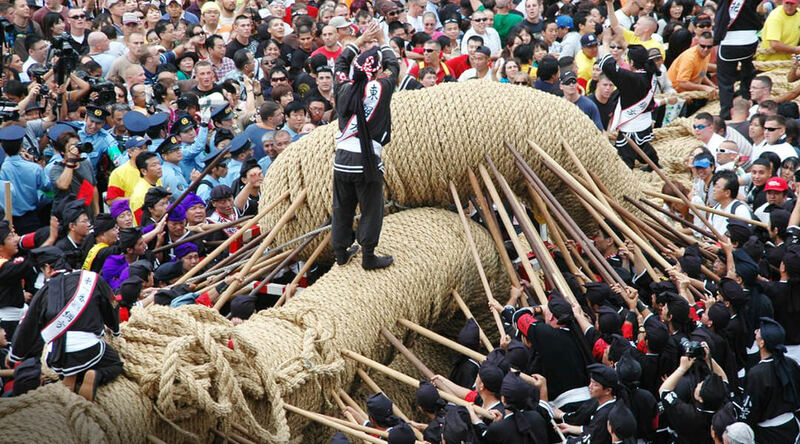 Okinawa has three main tug-of-war events, the largest of which is Naha’s Great Tug-of-War or the Otsunahiki Matsuri, where the rope used is recognised by the Guinness Book of World Records as ‘the world’s longest straw rope’. Originally a celebration of the Ryukyu royal dynasty, the festival boasts a 400-year history and was once a display of hospitality for envoys from China. In recent years the festival has been held in early October, when over 15,000 locals and visitors alike gather to pull the 200-metre rope. It’s said to bring good luck, and the tradition is for participants to bring a piece of the rope home with them to display for the year. 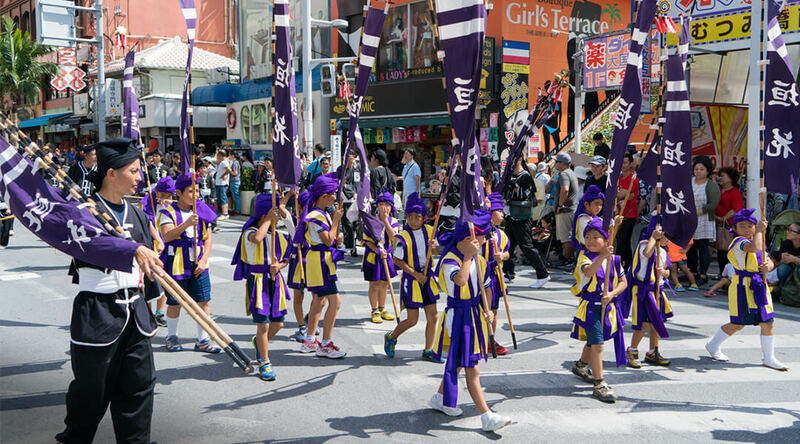 In mid-September the Eisa Festival, Okinawa’s traditional Bon dance celebration, is held to honour the spirit of one’s ancestors and is also popular with many travellers in the area. Naha Tug of War Festival, early October, near the Kumoji intersection. http://naha-otsunahiki.org. 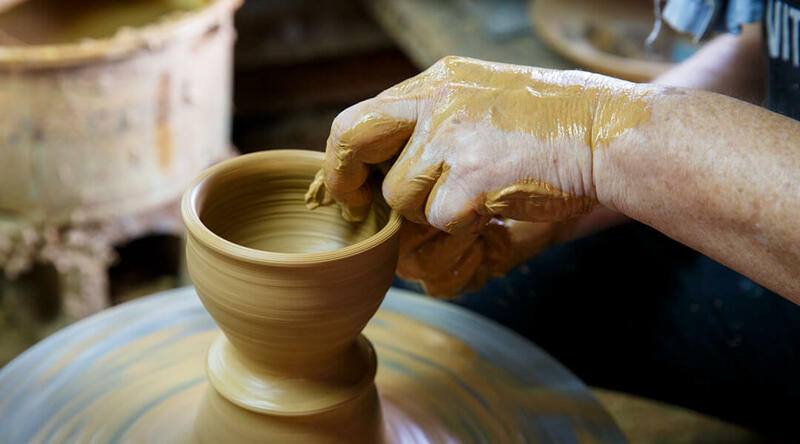 Delve into the world of traditional Ryukyu pottery at Yachimun No Sato or Yomitan Pottery Village, a charming area located on the west side of the main island of Okinawa. The village is lined with numerous ceramics shops, kilns and studios in which you can see local artisans busy at work. One building to take note of is the red-roofed kiln situated in the middle of the village, uniquely built along the curve of the hill. Apart from the kiln’s appearance, it’s special due to being fired up several times a year for glazing the pottery made for the season. 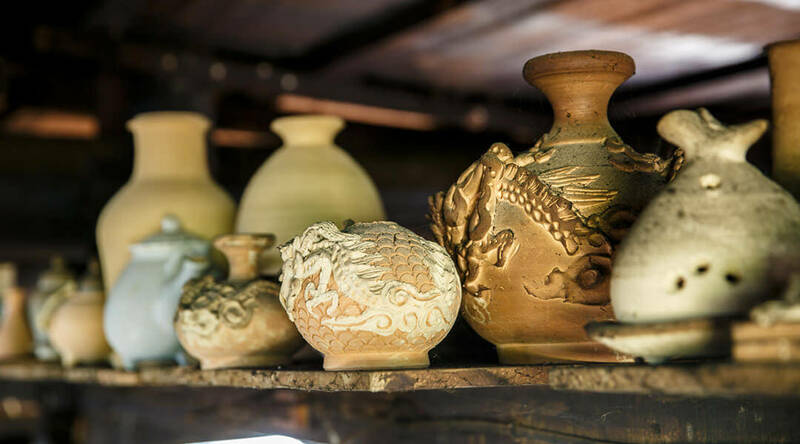 Visit the Tsunehide Pottery Workshop, which sells a diverse range of beautiful ceramics, or the Niji Glassblowing Workshop, where you can buy traditional Ryukyu glassware. After shopping, stop by one of the few cafés in the area like Gallery Mori no Chaya, run by pottery master Meiko Kinjo, for a cup of coffee or tea. If you can, have a chat with the local artisans in the area as they will gladly share their work with you. If you can’t make it to Yomitan Pottery Village, head on over to the shop Fukurasha in Naha for a bit of retail therapy. The shop sells many ceramics and handmade crafts made by emerging artists and renowned masters of particular crafts. Yomitan Pottery Village. 2653-1 Zakimi, Yomitan-son, Nakagami-gun, Okinawa.